Canajoharie's Cian DiMezza warms up for the Cougars Western Athletic Conference match against Mayfield on Dec. 20 at Arterial Lanes in Gloversville. 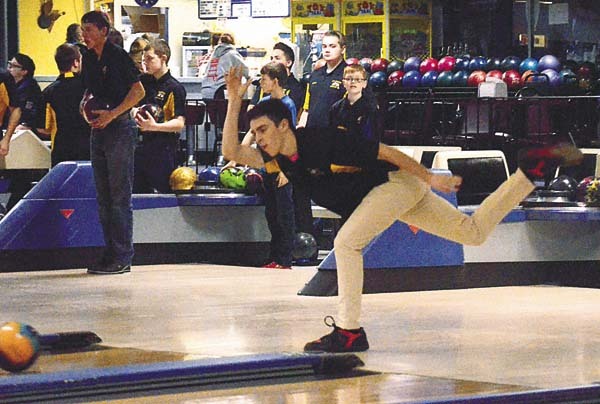 (The Leader-Herald/James A. Ellis) Canajoharie's Cian DiMezza warms up for the Cougars Western Athletic Conference match against Mayfield Wednesday at Arterial Lanes in Gloversville. LATHAM — The Western Athletic Conference announced its all-star teams and award winners at its conference tournament last Wednesday at Latham Bowl. Middleburgh’s Carolyn Shultes was named the girls MVP, while Middleburgh’s Donovan Mann and Schoharie’s Perry Lawyer were named the boys co-MVPs. 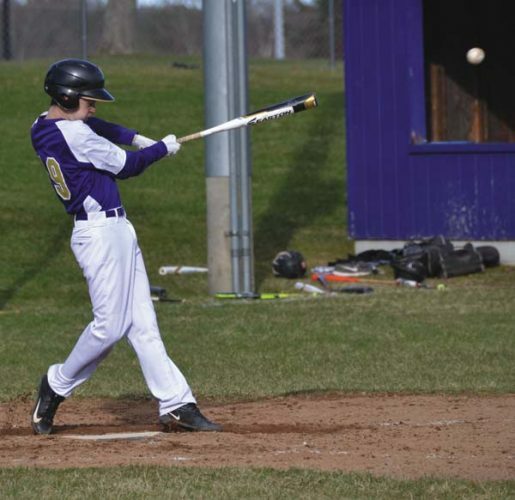 Named to the first team for the boys were Canajoharie’s Cian DiMezza, Duanesburg’s Eland Colon and Middleburgh’s Andrew Miaski, Kevin Guest and Tyler Mann. Mayfield’s Adam Colby and Fort Plain’s Brady Fureno were named to the second team along with Notre Dame-Bishop Gibbons’ Matt Belcher and Alex Belcher and Berne-Knox-Westerlo’s Dylan Hempstead. 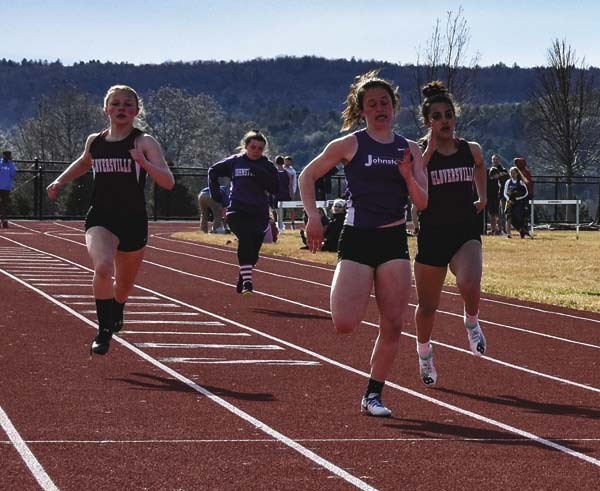 For the girls Duanesburg’s Kylie Largeteau and Bethany Baza were named to the first team along with Middlegurgh’s Cameryn Shultes and Jaidyn Rose and Berne-Knox-Westerlo’s Hannah Young. 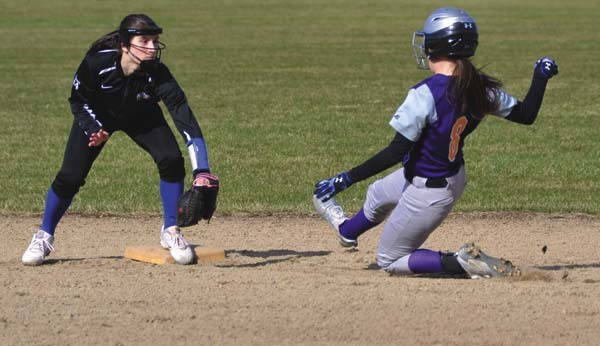 Fort Plain’s Gabby Jenks and Rachel Zuppardi were named second-team all-stars along with Canajoharie’s Chloe Hoffman, Schoharie’s Mandi Williams and Tori Harrington and Middleburgh’s Crystal Nizul. Shultes had the high average on the season for the girls with a 188, while Young recorded the high triple with a 672 and Duanesburg’s Bethany Baza rolled the high game of 267. Co-MVPs Mann and Lawyer also shared league high average honors with a 211 average, while Miaski took home top series honors with his 759 triple and Fureno, Hempstead and Colon all rolled a high game of 278 in league competition to share high game honors. At the WAC tournament, Lawyer turned in the high series with a 681 and Colby had the high game with a 268. Schultes had the high series at the tournament with a 594, while Largeteau rolled the high single with a 206.